According to one recent study, an incredible half of all consumers who conducted a local search on their smartphone visited the business they found within just one day. 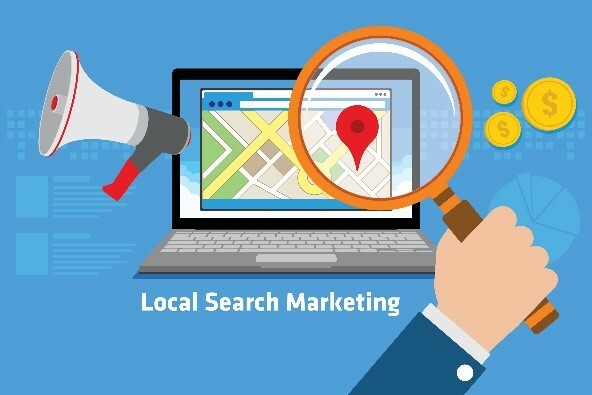 Not only that, but a full 78% of all local searches result in an offline purchase as per the same survey. Local SEO, at its core, is the art of using search engines like Google to make it easier for customers in your own area to find out more about your business, products, and services. Wielding this powerful 21st century tool to your advantage, of course, requires you to keep a few key things in mind. The most important thing you do to really thrive in terms of local SEO involves starting and optimizing your Google My Business account. This is a tool that allows you to input all relevant information about your business including more information about what you do and offer, address and other contact information, hours and more – all in an effort to allow the biggest search engine in the world to verify you as “Authentic.” Once that happens, your pages rank higher – particularly in local searches – and you’ll see an immediate boost in traffic as a result. Finally, if you haven’t already made a significant push into the world of social media on behalf of your business, now would be an excellent time to start. Never forget that Google considers the type of content that people are sharing on social media critically important – this is true now almost more so than it’s ever been. Once you’ve created your Google My Business page, for example, be sure to share that page on Facebook, Twitter, LinkedIn and more. But beyond that, every time you create a new piece of content as a part of your larger marketing strategy, don’t just let it live on the blog on your website. Tweet out links and post about it on Facebook and encourage people to share that content far and wide. The more content you create and the more often it’s shared, the more “relevant” and “important” your domains are viewed in the eyes of Google. This in turn has another positive affect on your larger search rankings, which improves both your larger SEO and local SEO efforts in a significant way. But none of this will be possible if you’re still under the assumption that you can “get by” without social networking of some kind. You may be able to generate similar results, but they’ll never be as good – and your local SEO will absolutely suffer as a result.